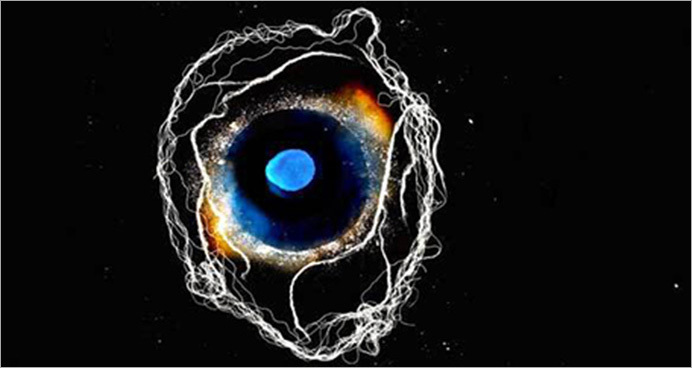 ‘The Eye’s Mind – a study of the neural basis of visual imagination and its role in culture’ is a research project, which launched in January 2015, funded by an Arts and Humanities Research Council (AHRC) Innovation Award. ‘Follow-on Funding’ was awarded for dissemination in 2017. It is led by the neurologist Adam Zeman, who has a wide interest in the neural basis of experience, in collaboration with the art historian John Onians, who is a pioneer in the use of neuroscience in the humanities. The project unites researchers and disciplines normally isolated from one another in order to study our distinctively human ability to imagine, highlight links between our experience, brain science and art, and throw light on the wide variation in our capacity to ‘visualise’. A study of individuals whose visual imagery lies at the extremes of the vividness spectrum. A small proportion of healthy individuals, perhaps two or three in a hundred, lack visual imagination completely, a phenomenon we have termed aphantasia, while others have imagery as vivid as ‘real seeing’ – hyperphantasia. We are using interviews, brain imaging techniques, and psychological tests to learn more about these ‘imagery extremes’. The ‘Eye’s Mind’ researchers are keen to hear from those whose visual imagery lies at the extremes of the vividness spectrum. If you would be interested in taking part in research, please get in touch.